ID: 2003 ~ Source: Waco Tribune-Herald, Waco, Texas, 14 June 1959, page 7. The final segment of I-35 opened in Minnesota in 1992. Traffic on I-35 greatly increased with the signing of the North American Free Trade Agreement between the United States, Canada, and Mexico. The interstate has since served as the primary north/south route for large trucks transporting goods between the participating countries. 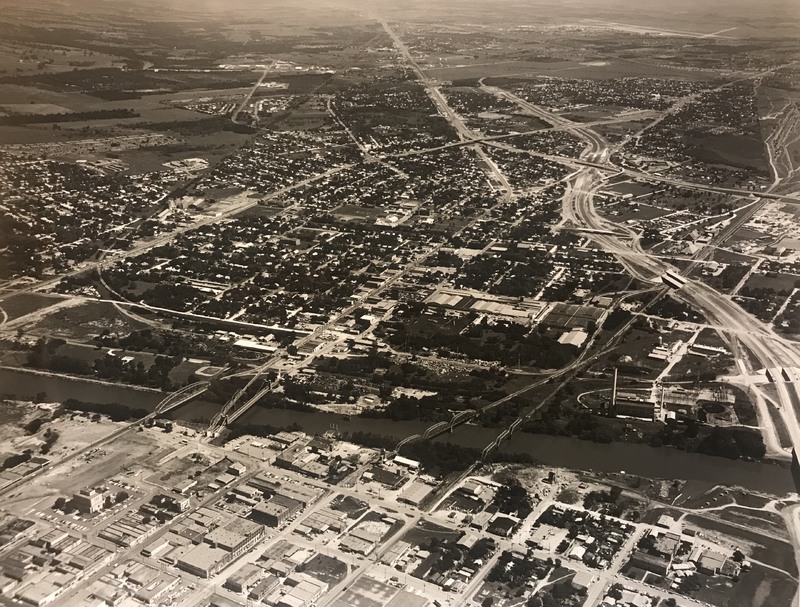 Here, an aerial photograph facing north toward Bellmead shows I-35 under construction, as well as what was once Highways 81, 84, and 77.